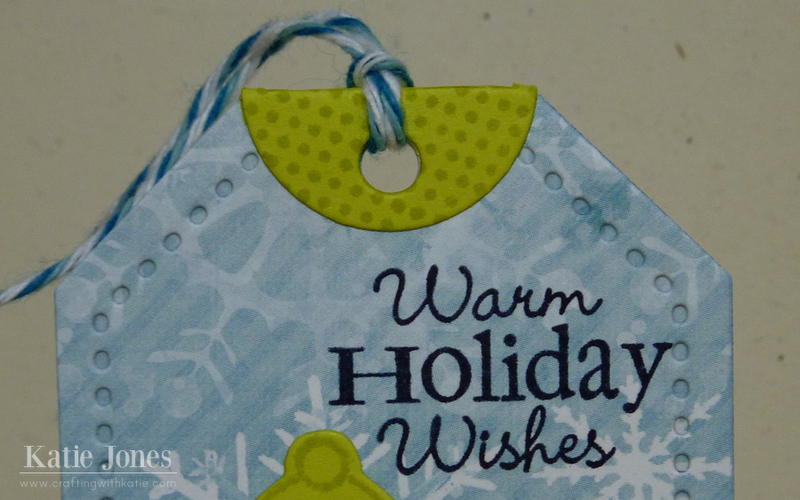 Here's another one of the tags that I tucked into my box I posted yesterday. For this one I used the Papertrey Ink Tag Sale #3 die with some patterned paper from Echo Park's Winter Wishes 6 x 6 paper pack. I also cut a little strip of "snow" from white cardstock, which I also cut with the Tag Sale #3 die. 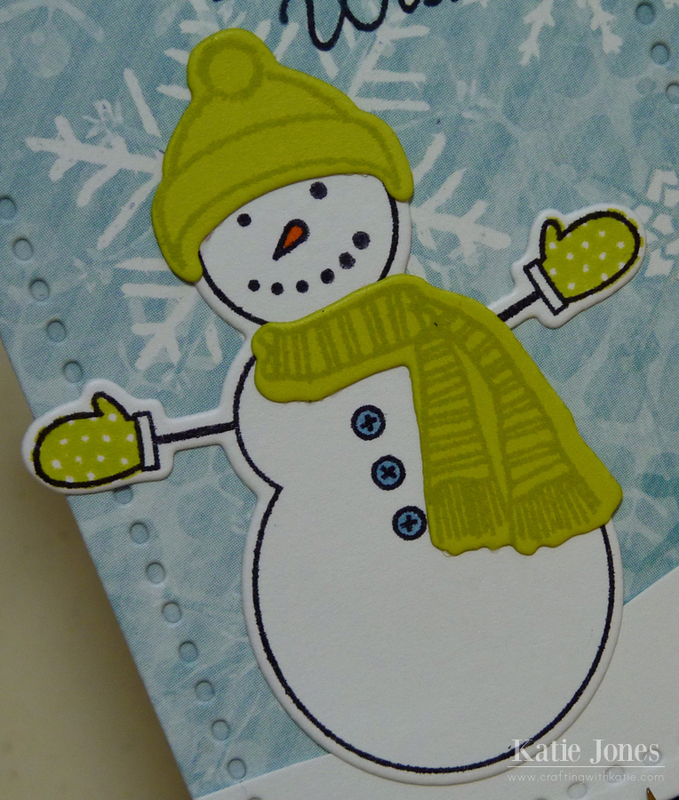 This adorable snowman was cut with the Made of Snow Mini dies. I decorated him using the coordinating stamps. That pretty green color is PTI's latest color, Limeade Ice, and I colored his buttons and nose with Copics. To get the polka dot pattern on that little semicircle at the top of the tag, I stamped a pattern from PTI's Bitty Background Blocks with Limeade Ice ink on Limeade Ice cardstock. 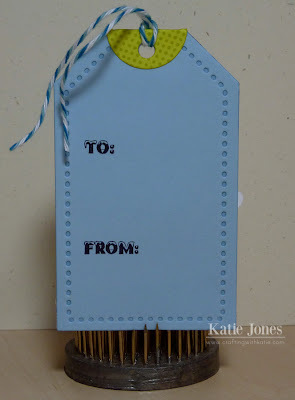 The sweet sentiment is from My Creative Time's Mixed Holiday Sentiments stamp set. I've been forgetting to take pictures of the back of my tags! 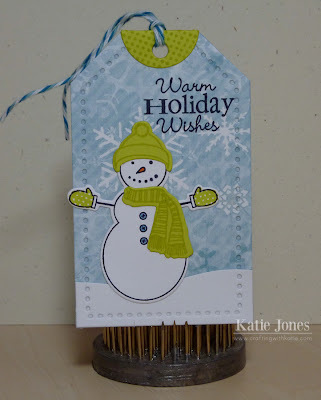 I've been having fun stamping "to" and "from" with the stamps from MCT's Just Tags. This set contains "to" and "from" in five different fonts, so there is always a choice to go with my tags! To make my tag a little sturdier, I die cut it again in Spring Rain cardstock and adhered this to the original tag. I love this green and blue color combination!